Can I fly with my portable vaporizer? As you know, portable vaporizers or e-cigs, give smokers the freedom to travel without sacrificing the social aspects and cravings of cigarettes. Don’t be surprised if you see someone in an airport smoking a portable vaporizer. Most airports have shown a very relaxed view towards vaping. Major U.S. airports are divided on whether or not people can use them inside the terminal. Here is a U.S. Map of airports that allow handheld portable vaporizers use in the terminals and common areas. If you want to take your portable vape pen when flying, we suggest taking a basic set-up with you. E-cig batteries cannot be put in your checked luggage you run the risk of having them confiscated by TSA. What most people say they do is that they take them out like they would do any electronic device. If you have a MOD, place that in your checked luggage. Can I use my vape pen on a plane? 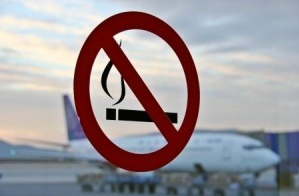 Passengers cannot use electronic cigarettes or portable vaporizers on flights. 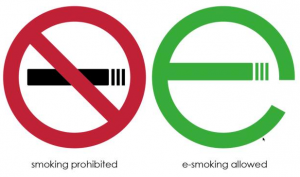 Some airlines and international flights do not have rules and regulation against vaping, however we recommend to not openly vape in your seat. Seeing any kind of vapor in the cabin might cause fear or concern between the passengers. We have heard stories of people vaping in airplane restroom without a problem. Since portable vaporizers do not emit any smoke, they will not be detected by the smoke detectors. What about my favorite e-juice flavors? E-Liquids need to be treated as you would any other liquid. When flying, carry your e-juice bottles (3.4oz 100 ml) in one quart sized ziplock bag of liquids. When passing through security take out the bag and put it on the tray for security to see. The best advice would be to check the T.S.A. website as well the airline’s site to know if there are changes to the rules. This will prevent you having to loose your vape pen should any unexpected laws come out. We encourage you to experience the freedom of traveling with one of our e-cig. Our electronic cigarette starter kits come with everything travelers need for their upcoming trip. So if you are wondering, can I fly with my portable vaporizer? The answer is yes; just make sure you understand the rules and regulations. This entry was posted in News on March 10, 2014 by admin.